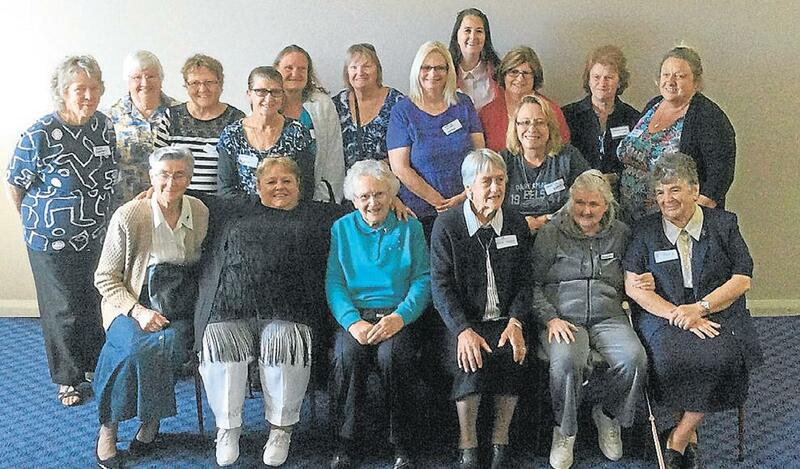 Memories came flooding back on the weekend as former residents of two Goulburn orphanages gathered for a reunion. 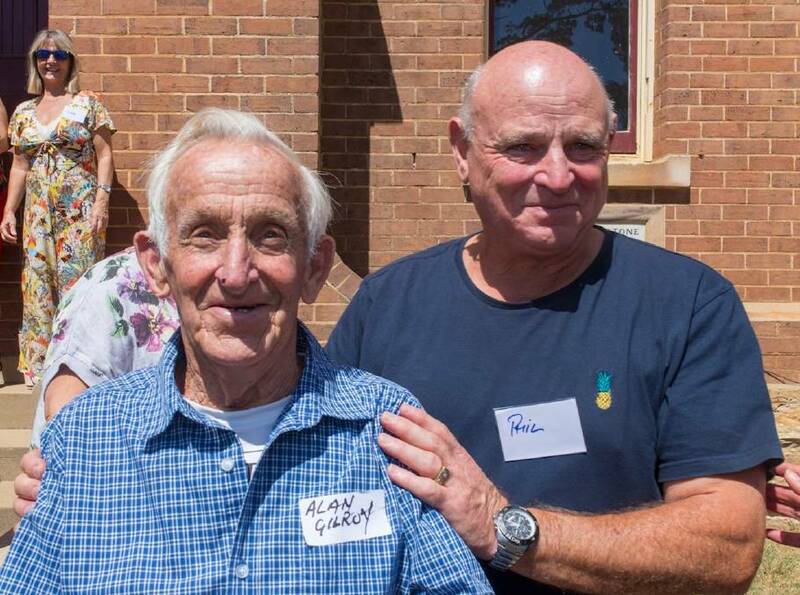 Goulburn man and former orphanage resident Alan Gilroy with reunion organiser Phil Merrigan. Photo: Michelle Doherty. Henry Angos was one of the oldest residents to attend Saturday’s reunion. Photo: Michelle Doherty. Lindsay Chesworth takes up a trip down memory lane looking through some orphanage history. Photo: Louise Thrower. Lois Tozer (St Joseph’s 1967-71) travelled from the Gold Coast for the gathering and met up with Vanessa Irving (St Joseph’s and St John’s 1969-76). Photo: Louise Thrower. Dear fellow Old Boys, Girls, family members and friends. Our last Reunion in March 2017 was held in the grounds of St Josephs at Kenmore. This was due to the incredible hospitality from Darryl and Maggie Patterson the owners of the St. Josephs. Our reunion was a major success with approximately 100 old boys and girls with family holding a “picnic” in the front grounds. With age or illness creeping up on many of us, the turn up was extraordinary. It was agreed by all that it was a wonderful reunion and maybe one of our best! Many old girls returning to St Joseph’s for the first time had mixed emotions but all said they were glad they came. Like the girls, we had some old boys from St. John’s make a reunion for the first time. Old boys and girls of St John’s Boys and St Joseph’s Girls Homes Goulburn, along with family and friends are invited to a Reunion BBQ in the grounds of the old St Joseph’s Girls Orphanage, Taralga Rd. North Goulburn NSW on Saturday March 11th 2017. Starting at11.00am. 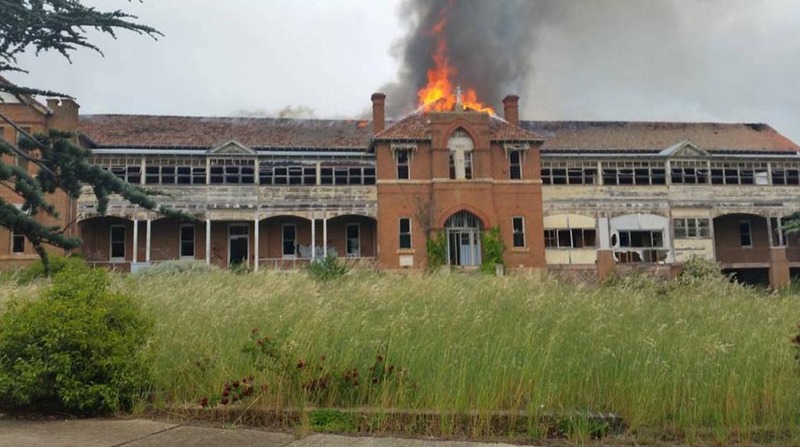 JUST off Taralga Road down a bumpy driveway, hidden behind rows of trees, the former St Joseph’s Girls Home long stood empty and forgotten. On Thursday, the chatter of children echoed through the hallways once again, as some 60 young volunteers pitched in with painting, gardening and general tidy up. The painting that used to hang in the dining room at St. John’s Orphanage for many years went missing at or just before it’s closure nearly 40 years ago. It recently was discovered in the garage of Horton Willoughby’s home in Ballina. Horton (Fred) sadly passed away just a few weeks ago and his family discovered it in his garage.The painting was assumed lost forever or destroyed by vandals when St John’s closed.So we can now claim that Horton Willoughby saved it. The painting is being “restored” and a digital image is now available in A4 size to any old boy or family member. Please use the contact section of this website to place an order. Horton’s grandaughter is now the owner of the painting and gladly made it available for all to see at our recent Reunion in Goulburn. PURPOSE: Maggie and Darryl Patterson have plans to establish an ‘intentional community’ in the Christian tradition at the former St Joseph’s House of Prayer on Taralga Rd. They exchanged contracts on the building in May. THE grief of losing their daughter to a genetic heart condition last year hardened a local couple’s resolve to help the community. Darryl and Maggie Patterson purchased the former St Joseph’s House of Prayer on Taralga Rd four months ago. Their dream is to transform it into a “contemporary monastery” or intentional community in the Christian tradition. The charitable organisation would also focus on social action, such as raising awareness of women in slavery overseas and of children in orphanages. Sadly, Sister Madeleine passed away peacefully in her sleep at 8.30PM on Sunday 16th June. Sister was 110 years of age. Reunions have been held several times over many years. Gatherings in parks and clubs have provided an opportunity for old friends to catch up and renew acquaintances. Sister Genevieve was a great supporting of inviting back old boys to St. Johns during her long posting at the home.